Figure 6. Split Flange Clamps. Figure 5. Tube Nut, Hose, and O-ring. Figure 7. Bucket Tilt Cylinder Lifting Device. 10. Position drain pan to catch fluid that drains from hose (Figure 6, Item 1) or cylinder (Figure 6, Item 6). 12. 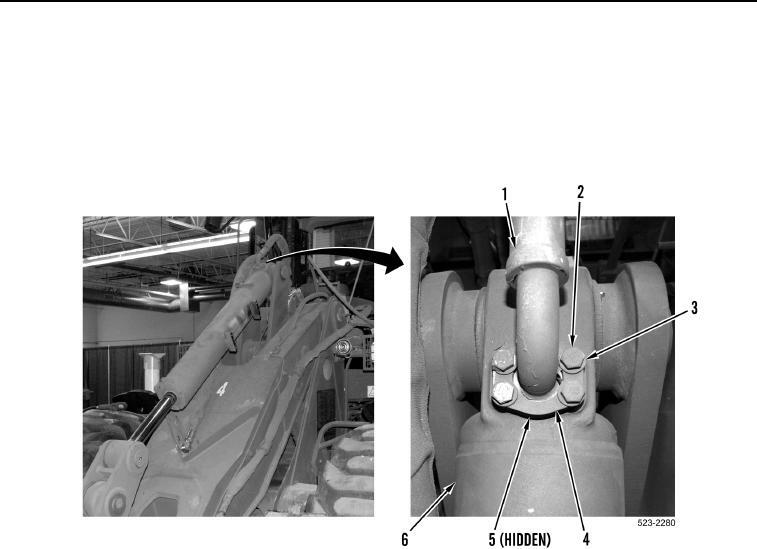 Position hose (Figure 6, Item 1) aside.